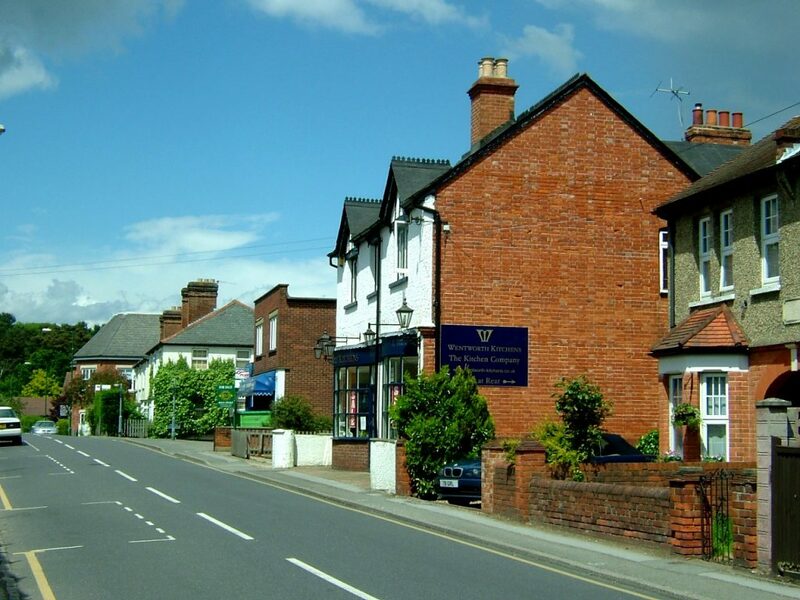 More events are being held by Wildlife in Ascot this April. 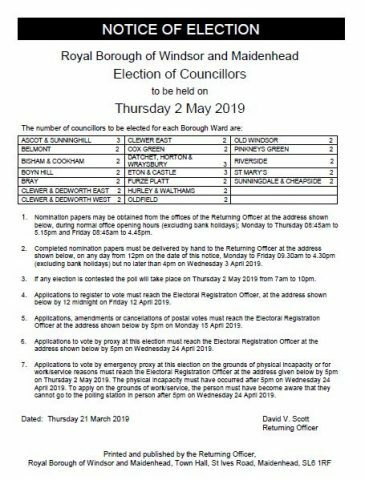 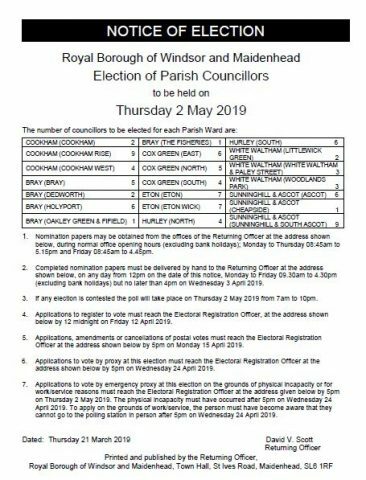 There are going to be contested Parish Councillor elections for the Cheapside Parish Ward and for the Sunninghill & South Ascot Parish Ward. 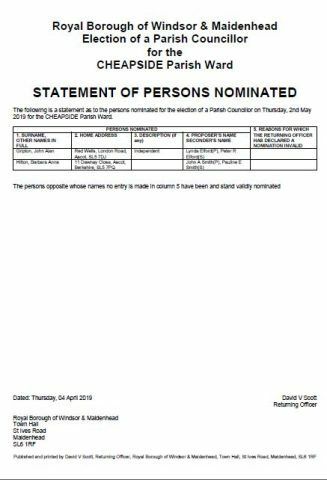 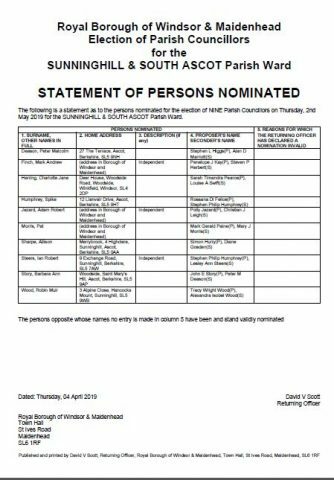 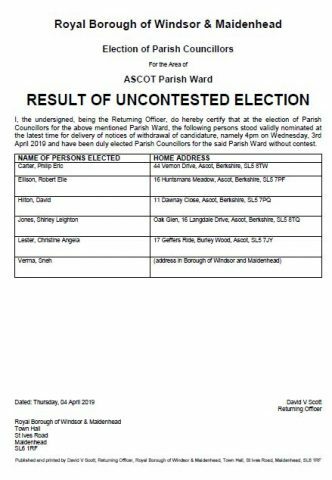 For the election of Parish Councillors, the Ascot Parish Ward is uncontested.